Zayn is an English singer, songwriter and a former member of the boy band One Direction. After his departure from the band in March 2015, he released his debut studio album Mind of Mine on 25 March 2016. The album and its lead single, Pillowtalk, reached number one in a number of countries. 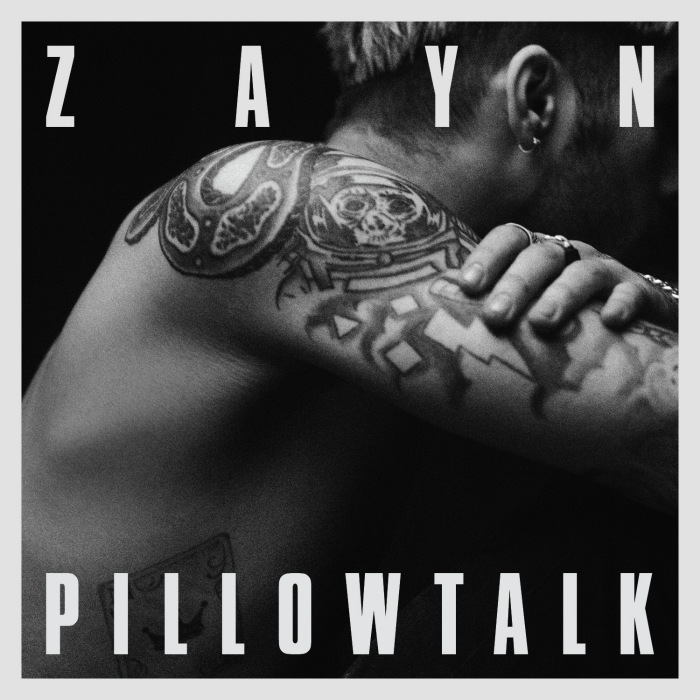 The above is the cover artwork of Pillowtalk and the font used in the cover is Compacta. Similar to the typefaces Impact and Haettenschweiler, Compacta designed by Fred Lambert is reminiscent of the extremely narrow sans serif stencil fonts of the 1920s and is recommended for titles or headlines for magazines and posters. In addition to Pillowtalk (Zayn), Compacta typeface is also used in the following logos, movie posters or album covers etc., including: The Apprentice, Earned in Blood, Road To Hill 30, The Newton Boys, The Fugitive, The Infamous (Mobb Deep), Straw Dogs, Disney Bolt, The Last of Us, Pretty Woman, Borderlands, Philadelphia, Team Fortress 2, Dirt: Showdown, Trench (Twenty One Pilots).